Samsung’s cameras haven’t been a big hit in the tech world compared to their television appliances, mobile phones and tables. However Samsung company, surprisingly enough, continues churning out newer models. Apparently, Samsung is following the philosophy that by producing sufficient models, and in adequate quantities, it may somehow be able to attract a greater number of prospective photographers. The latest additions to Samsung’s cameras portfolio comes in the form of three new cameras: The Samsung NX20, NX210 and NX1000 compact system cameras. All the three models belong to the category of mirrorless compact system cameras and come equipped with a 20-mp APS-C sensor that has already been used in the Samsung NX200 compact system camera. All of them also feature a 8 fps continuous shooting rate. For video capturing, the user can capture 1080P/30/24 HD video which is not bad at all. What is strikingly new in these cameras is that Samsung has added the functionality of connecting to a Wi-Fi and then automatically relay images to a computer. To further sweeten the candy, the three Samsung Compact System Camera models come with support for social integration so that the user can easily share photos across social media and email them as well. The Samsung NX1000 is the smallest mirrorless compact system camera from Samsung yet and for amateurs, the good news is that in terms of cost, it is a feasible option for low-end and amateur photographers. 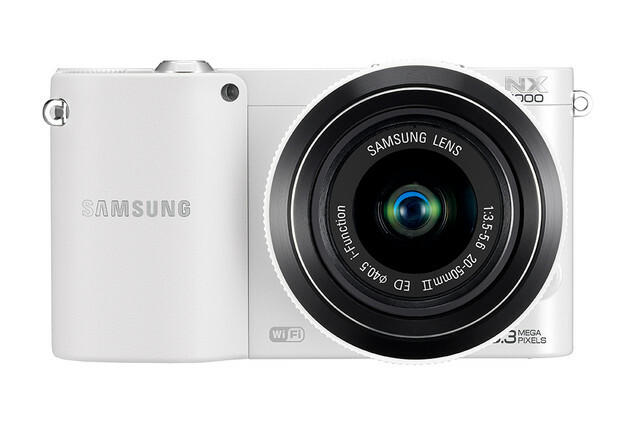 Samsung hasn’t yet announced the price of the Samsung NX1000 but we are pretty sure it will be fairly low. 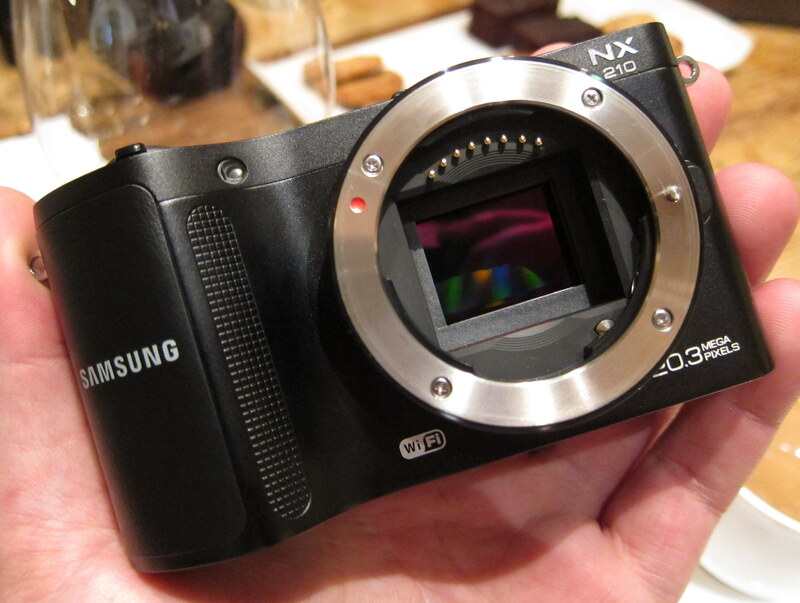 The Samsung NX20 is a rather DSLR-like camera and features a 1.4mm dot EVF. 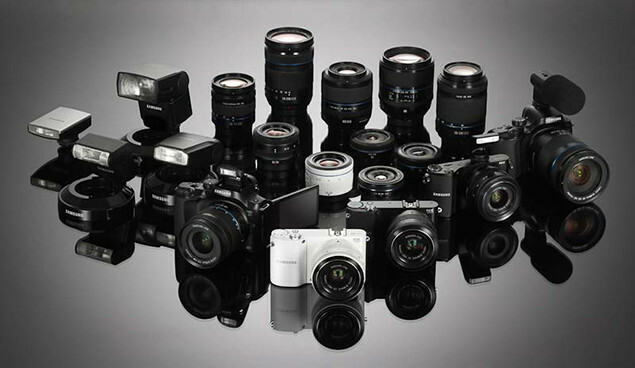 However, many users may think twice before deciding to go for a camera which costs a whopping $1100 USD specially when there are other options available in market such as the Olympus OM-D EM-5 Micro Four Thirds Compact System Camera or the Sony NEX 7. If you have any plans of laying your hands on a Samsung NX20 Compact System Camera, you may want to start looking for it since it was scheduled to start shipping by mid May. 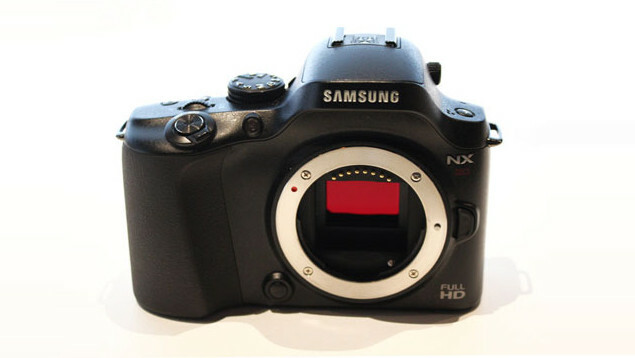 Finally, the third model, the NX210, can be taken as a sequel to NX100. It comes with some humble additions and improvements, compared to the earlier NX100 model and carries a price tag of $900 USD. While these models are quite good, Samsung still needs to chop down its prices to make them more desirable. With other reputed vendors such as Sony and Nikon already having the camera users hooked to their devices, Samsung needs a change of strategy if it wishes to break into the market. Most of the lens used in Samsung’s cameras are quite good, some of them even outdoing the lens offered by Sony! That is a huge advantage Samsung has over Sony but as long as it remains unexplored and unnoticed by the users, it is no use. So the Korean electronics maker needs to ramp up its efforts on the marketing end and at the same time, stop simply shipping out newer models and rather, should try to be more competitive in terms of pricing. Only then, it may be able to take on other industry giants such as Panasonic,Olympus, Sony, Nikon and others.